Managing family life doesn't have to be hard. 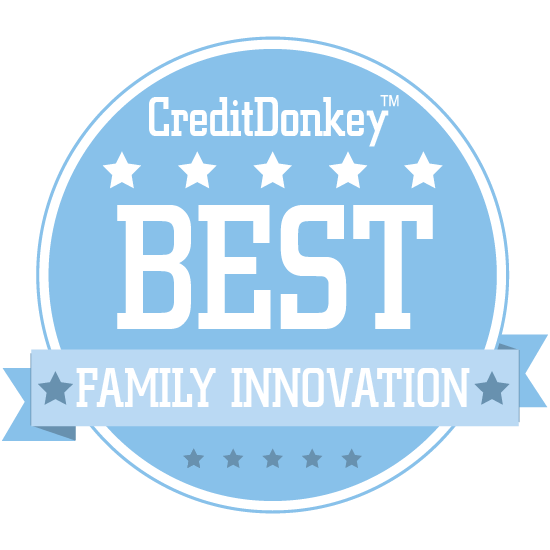 Connect with the winners of the CreditDonkey Best Family Innovation award to make family life easier. Once you have your first baby, one aspect of your life gets shorter and shorter as baby grows - time. Time is so hard to come by when you're doing your best to be a loving, caring parent while also managing your household and the family as a whole (not to mention working and taking care of yourself). Need a helping hand? Smart, innovative companies have risen to the challenge of helping parents with new apps and services that make family management easier and saving time possible. Whether you need to rein in your child's screen time, find a local service provider to take care of your house, or improve how you organize family memories, you'll find what you need on this list. We've already saved you some time by narrowing down the crowded list of family-focused innovative companies vying for your attention. At CreditDonkey, we believe comparison shopping is a sure method for saving and spending money wisely, and we believe these companies can help you keep your family budget in check - they make it easier for parents to pick out service providers and decide how their family spends their time. Check out this list of the very best in family innovations. 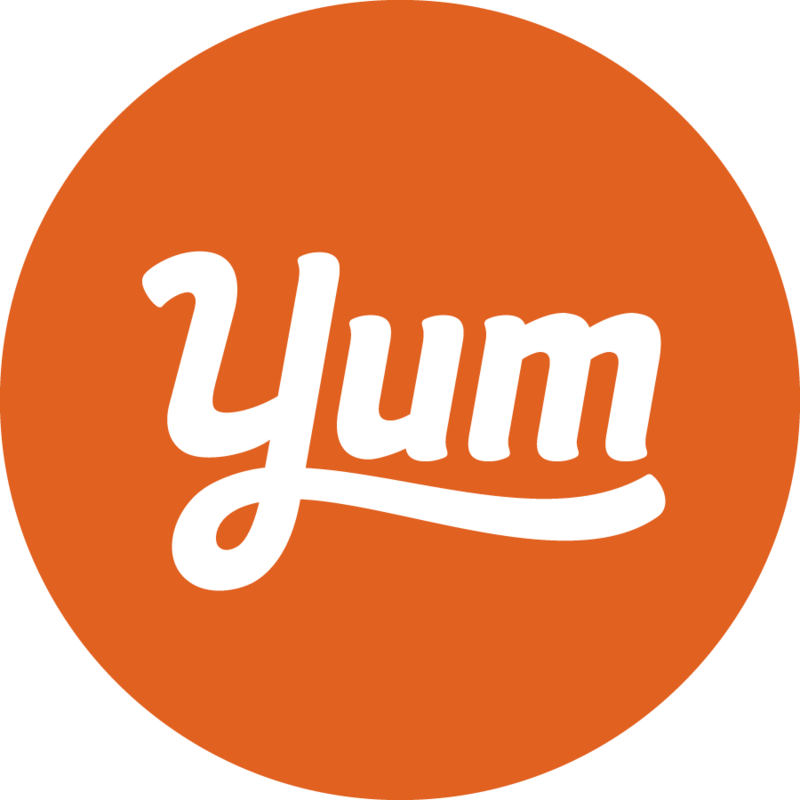 Yummly offers home cooks recipes from some of the world's top foodies, as well as personalized recommendations and plenty of ways to search for what you want to make. Why Yummly is Top in Family Technology: It's a website and app that you can sign up for, and it will offer you recipes based on your tastes and skills. You can even search recipes based on the ingredients you have in your kitchen, so you can discover what you can cook right now. OurFamilyWizard offers a suite of tools for divorced or separated parents that make co-parenting easier and less stressful. Jai Kissoon, CEO of OurFamilyWizard parent company Avirat, has been with the company since its founding and spent five years as its executive vice president. 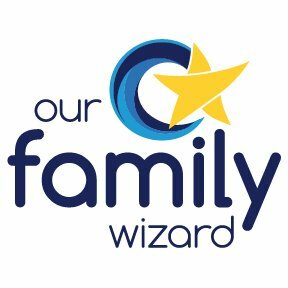 Why OurFamilyWizard is Top in Family Technology: Their apps enable you to easily track child custody and schedule parenting time, share important information, manage expenses, and more. 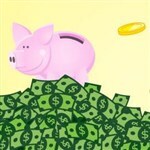 You can even work with your family's lawyer through the website at no extra cost, keeping kids out of the middle. Kid & Coe is a homesharing startup that makes it easy for parents to rent baby and kid-friendly homes, complete with cribs, toys, and games. Founder Zoie Kingsbery Coe has traveled the world with her family and knows comfort inside and out, while her co-founder Lo Martin is a branding and content strategy expert. 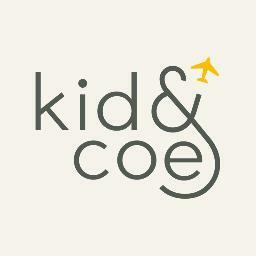 Why Kid & Coe is Top in Family Technology: Finding the right vacation rental when you're bringing baby along used to be a pain, but this startup makes it a breeze. Each rental even comes with babysitter recommendations, just in case the parents want a night on the town to themselves. CareZone is an app for managing your family's health; you can use it to document symptoms for easy reference, keep track of appointments and prescription refills, and share access with families and caregivers. Jonathan Schwartz, co-founder and CEO, was previously the President and CEO of Sun Microsystems, Inc., while his co-founder and CTO Walter Smith has worked with Microsoft and Apple Computer. Why CareZone is Top in Family Technology: Busy parents have a lot to keep tabs on, but your family's health might be the most important thing of all; this app makes it a snap. Not only will you always have your list of appointments and medications with you, but you can even print it out and pin it to the fridge so the family can see it, too. The app also sends reminders when it's time to take a medication, order a refill, or go to an appointment. Reminders are one of the more popular features in the app. 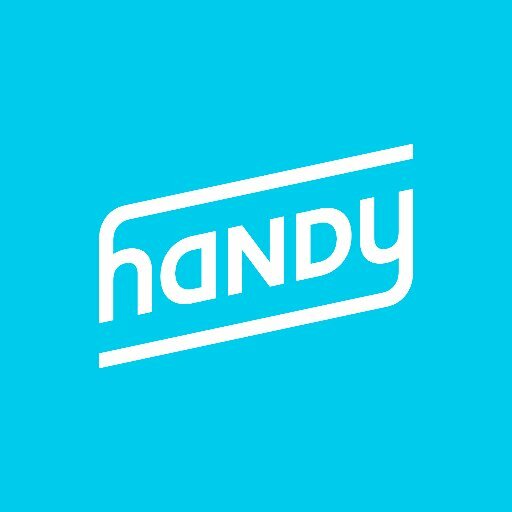 Handy is, like its name suggests, a handy service that lets users book trusted cleaning and handyman professionals instantly. Founder and CEO Oisin Hanrahan is a serial entrepreneur on his fourth successful venture, while COO Umang Dua also founded College Connect, an online platform in India built to connect students there to others around the world. Why Handy is Top in Family Technology: Busy homeowners who want to book a cleaning or need some help assembling furniture will love this service. Handy's workers are experienced professionals, so you can be rest assured they'll do the job well. 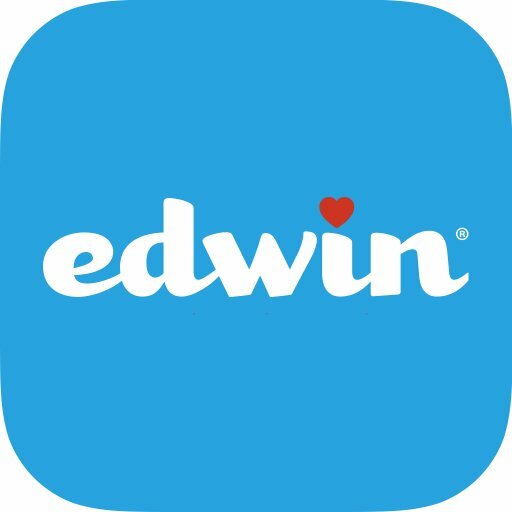 Edwin the Duck is an app-connected smart toy that provides your newborn, toddler, or preschooler with hours of fun and learning through original songs, stories, and educational games. CEO and co-founder Matt MacBeth has a background in physics and engineering and has designed several electronics products, while co-founder and President Don Inmon has 24 years of experience in the tech industry with companies like Apple and Klipsch Audio Technologies. Why Edwin the Duck is Top in Family Technology: Edwin also has a number of practical functions that parents will love: he can double as a bath thermometer, waterproof Bluetooth speaker, and even a night light. He's the perfect toy pal for your child and a great helper for parents, as well. 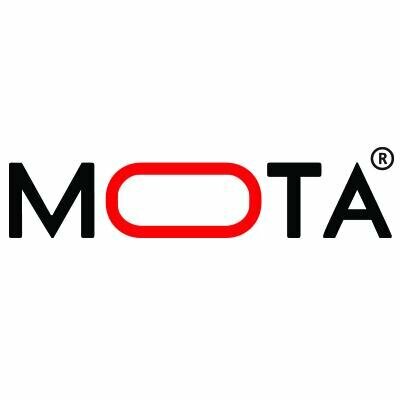 MOTA is a drone company that offers a line of toy drones that are great fun for the whole family to fly. President and CEO Michael Maro has held a number of technical and managerial roles at a variety of companies, including Intel Corporation and Siemens AG, and has been with MOTA since 2003. Why MOTA is Top in Family Technology: Their JetJat Nano is the world's smallest, lightest drone; it fits inside its own controller and performs exciting acrobatics with ease. It's simple enough that novices can use it, but has enough features to entertain seasoned drone pilots as well. The Octopus is an icon-based watch for children, designed to help them develop good habits and teach them the concept of time. Why Octopus by Joy is Top in Family Technology: The watch comes with three different modes: icon, so kids know when to tackle certain tasks, digital, so they can read the time, and analog, so they learn how to tell time with a clock face. The scheduling feature gives you over 700 icons to choose from, and kids can have fun building good habits by earning badges as they go. They are available in 1500 Target retail stores around the US. Stop, Breathe & Think is a mindfulness app that encourages you to check in for five minutes each day and simply relax with personalized meditations and activities. Why Stop, Breathe, and Think is Top in Family Technology: They also offer a kid-centric app built for children aged 5-10, designed to help them connect with and process their emotions. Each activity can even be shared with parents as a great way to spend quality time together. EverDrive is a mobile app that learns your driving habits, evaluates them, and helps you become a safer driver; just download it and start driving. Why EverDrive is Top in Family Technology: The app passively monitors your driving, then delivers diagnostics to you that you can use to improve your driving. You can even compete against your friends and family for the best and safest driving stats. Sortly is a handy organizing app that's built to help you keep track of all your stuff. Sortly creator Dhanush Balachandran is a former Intel employee who taught himself how to code for iOS to create the ultimate home organization app. Why Sortly is Top in Family Technology: Whether you're moving or just doing a home inventory, Sortly's simple interface and features will help you make sure nothing gets left behind. 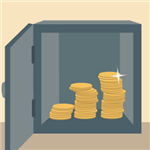 It's also a useful app for collectors: just snap photos of your valuables, tag them with quantities and prices, and sort them into categories of your choosing. Tenka Labs' Circuit Cubes are electronic building blocks that connect to add motion, sound, and light to any project your child can imagine. Co-founder and CEO Nate McDonald is a mechanical engineer who has led both First Lego and First Robotics teams for middle schoolers, while co-founder and CDO John Schuster is a former IT professional and engineering designer now dedicated to education. Why Circuit Cubes is Top in Family Technology: Designed by STEM teachers, they built to bring kids' LEGO creations to life but can be used with just about anything to teach kids the fundamentals of how electronics work. From self-powered toy cars to flashing emergency lights and more, you can check out some of the great projects possible with Circuit Cubes on Tenka Labs' website. CellScope is building apps for better family health, like Seymour, which enables you to monitor your kids' skin and ear conditions. CEO Erik Douglas co-founded CellScope with Amy Sheng, having been inspired by their work created smartphone-based diagnosis tools at UC Berkeley. Why CellScope is Top in Family Technology: If anything concerns you, Seymour lets you send a photo directly to your doctor so you know if you need to make an appointment. The app also lets you track your family's health over time, building a photo log of their recovery process to share with your doctor. 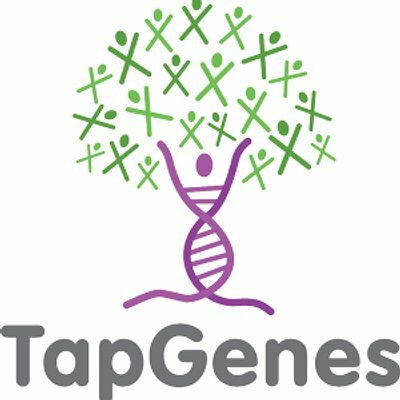 TapGenes is a tool that uses genes and your genealogy to help you identify certain diseases and conditions you might be at risk for. Why TapGenes is Top in Family Technology: This startup's unique tool not only allows you to use your family's history to predict your own health, it also lets you chart out your life events and learn how the way you live is affecting your health. Not only that, but it also assists in turning your family's health records from paper to more durable, easy-to-use digital format. Oscar Senior is an app for seniors that aims to simplify the often-complex and confusing world of digital devices and the Internet so they can stay in touch with their family and friends with ease. 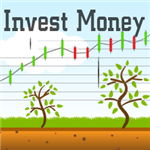 Why Oscar Senior is Top in Family Technology: This is a safe and secure tablet app that features large fonts, a simple interface, and protection from scams, pop-ins, and more. It even allows family members to remotely configure seniors' devices to fix problems, aid with set-up, and provide guidance. 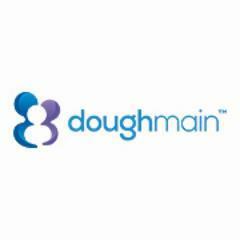 Doughmain is a startup that offers parents the free financial management and organization tools they need to teach their kids how to properly manage their money. 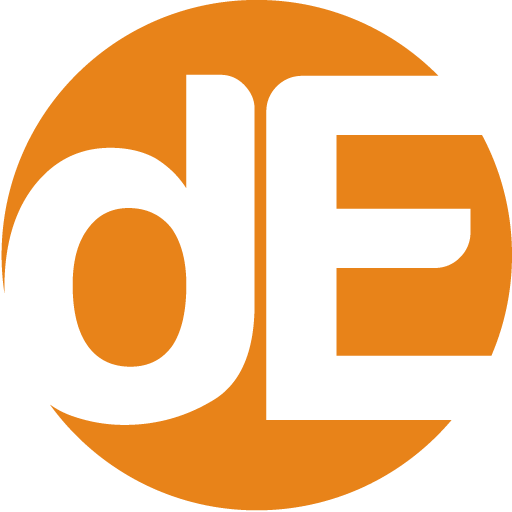 Founder and CEO Ken Damato has worked with multiple Fortune 100 companies, including with GE as the leader of marketing for their Lighting division. SideChef is a website and app that's packed with tasty, unique, and healthy recipes your family will love. 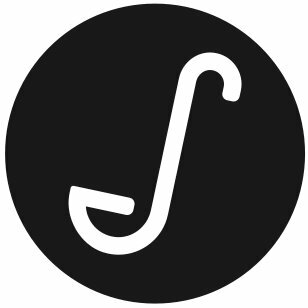 Why SideChef is Top in Family Technology: Each recipe is laid out in clear, easy-to-follow, step-by-step instructions that you can follow on your web browser or on your mobile device. You'll also find helpful articles packed with useful how-to's and collections of recipes to test out. 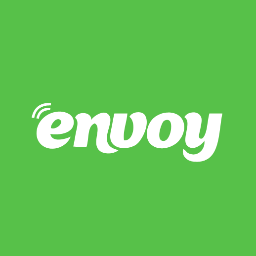 Envoy is a family concierge service that can provide things like grocery shopping, local rides, housekeeping, and more. Why Envoy is Top in Family Technology: Busy families balancing parenting, careers, and daily life will love this company, which provides trusted help on demand. It's also great for older people who need a bit of assistance but otherwise would like to maintain independence. 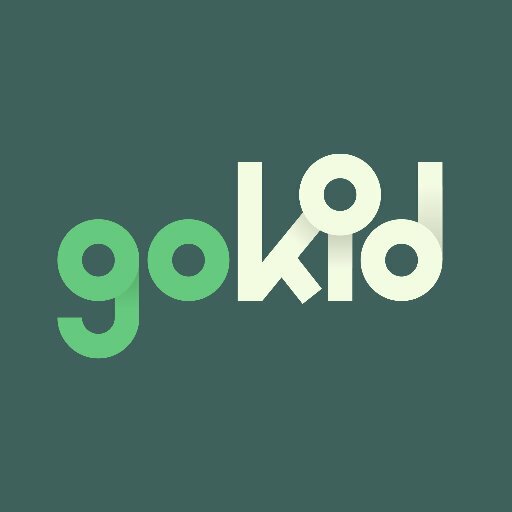 GoKid is a carpooling app that makes it a snap to organize carpools for your kids with families you trust. GoKid founder Stefanie is a serial entrepreneur and mother of two who has worked in technology innovation for the past fifteen years. Why GoKid is Top in Family Technology: Using the app, you can easily manage carpooling schedules, invite other parents to drive, and track routes when your child is in a carpool. With no paid drivers, only trusted parents, and in-app messaging so you can always keep in touch, GoKid offers peace of mind that other ridesharing apps don't. StoryWorth is a unique startup designed to help families get to know each other better with a book packed with fascinating family stories. Nick Baum, who co-founded the company with his wife Krista, studied Computer Science at Dartmouth University before working for Google, while Krista holds a finance degree from BYU. Why StoryWorth is Top in Family Technology: If you've ever wanted to know more about your mom or dad as a kid, or hear a fascinating new tale from an aunt or uncle, this startup will help make that happen. All you have to do is sign up, and each week a story prompt will be emailed to the users; at the end of the year, you'll receive a book with each story inside. Focus is an app that helps users stop looking at their phone while driving, encouraging safety and, well, focus on the road. Creator Kevin Holesh built Focus after noticing how many people on the road spend time staring at their phones, and he hopes to prevent some of the 25% of car accidents in which one of the drivers is using a phone. Why Focus is Top in Family Technology: It automatically starts up when you start driving, and if you pick your phone up, will gently remind you to put it back down. You can even send an email report card on your phone usage to anyone you choose to help hold yourself accountable. 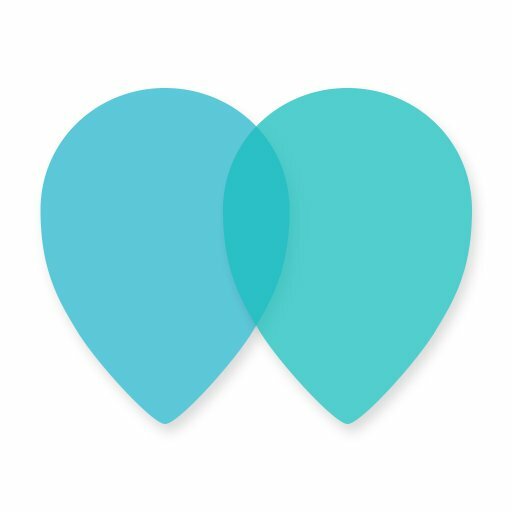 Picniic is an organizer app built for families that brings all of your essential activities and information, from calendar events to meals to family news, together in one place. Why Picniic is Top in Family Technology: It also features an "info locker" for securely storing essential data like medical and house information, as well as a useful family locator so you and your loved ones can check in and let each other know where you are. It's even a useful cooking app, allowing you to search for and save recipes, make shopping lists, and schedule out your meals. 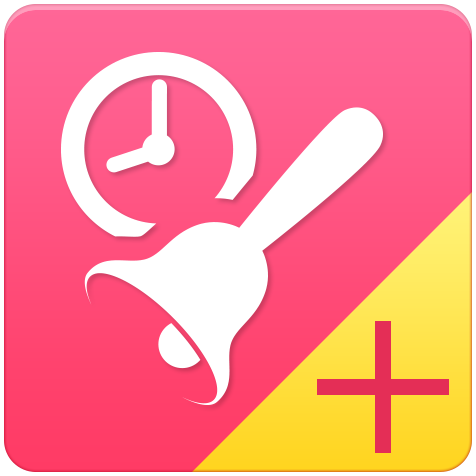 DinnerTime Plus is a screen time control app that allows parents to make their kids put down their devices and come to the dinner table, go to bed, or just disconnect from the internet. Why DinnerTime Plus is Top in Family Technology: The app also allows you to set time limits for how long your child can use their device, and you can even see in real-time what they're doing, how long they've been using the device, and what app they're on. You can even use it to block apps (e.g., if you'd like to stop your child from playing games during exam time). Square Panda offers a range of phonics and reading games and apps for kids with a specially-designed, Bluetooth-enabled playset for hands-on learning. Why Square Panda is Top in Family Technology: Their fun, engaging games will delight your little one, setting them on the road to reading comprehension as young as 2 years old. Combining iPad- and Android-based games with a physical playset that enables kids to place letters and form words, Square Panda is a multisensory learning program designed for all children. SpecialGlobe is a travel site for family travel. You can find a lot of information about traveling with special need kids. SpecialGlobe's founder and CEO traveled the world when she was young, but after becoming mother to Eliza and Henry, she founded this company to ensure that all children can have the same experiences she did. Why SpecialGlobe is Top in Family Technology: Parents of special needs children know how difficult big vacations can be, but this company will work with you to ensure that all of your destinations, lodgings, and activities are perfect. This company will help you plan a trip to a nearby destination or an African safari; whatever you and your family want, they've got your back. Twile allows you to pull all of your family's photos, stories, and other memories into one place to create a visual history of your family's timeline. Founded by Paul Brooks and Kelly Marsden in 2013, Twile's mission is to make family history as exciting as possible and preserve it for generations to come. Why Twile is Top in Family Technology: This startup's interactive family timelines are a unique, fun way to craft a digital scrapbook, and each family member gets to contribute with their own memories. Once it's finished, you can share it with your friends and family instantly. Connect2NICU is committed to developing web and mobile solutions to help parents who have babies in the Neonatal Intensive Care Unit to easily communicate and engage with caretakers. Why Connect2NICU is Top in Family Technology: They aim to do this by providing patient-centered tools and resources in one convenient platform. They believe in the power of technology to elevate infants' lives and keep parents connected to caregivers, and pride themselves on their high standards and approachable nature. 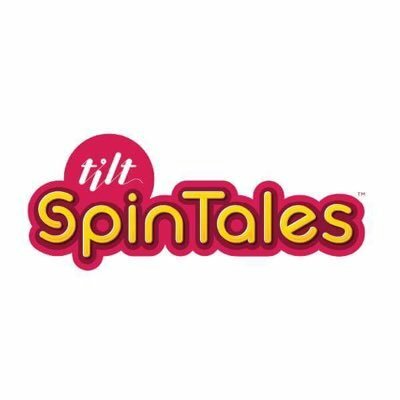 TILT makes interactive textiles for kids that pair with apps to create unique, fun augmented reality experiences that kids will love. TILT President Qaizar is an experienced entrepreneur who is also the co-founder of the DuPont spin-off Textronics, Inc.; he also previously worked at Adidas for eight years as a research and innovation leader. Why TILT is Top in Family Technology: Duvets and rugs form a backdrop, and your child uses an iPad to experience a story that blends video and narration with activities and augmented reality that lay over the textiles. Kids get to experience classic fairytales and jungle-themed adventures that come to life in the home, letting them laugh and learn in exciting new ways. Kitchen Kid is a Southern California-based educational startup that aims to teach kids the art of cooking through classes and camps. Founder Samantha Saffir Barnes is a creative cook and former middle school educator who launched her company in 2006 with the goal of empowering young people to unleash their creativity in the kitchen, and later founded subscription box service Raddish. Why Kitchen Kid is Top in Family Technology: Kids who learn to cook are learning about more than just the kitchen: they learn about nutrition, math, and science at the same time. Kitchen Kid's camps encourage independence and boost self-esteem with fun, interactive classes throughout the SoCal region. LightArrow's LifeTopix is a productivity and planning app for iPhone and iPad that's built to help you manage both your life and your business on one platform. Why LightArrow is Top in Family Technology: With LifeTopix, you can use a single app to manage your calendar, contacts, to-do lists, track your assets, and more. Best of all, you can try it right now for free, and unlock all the features later. 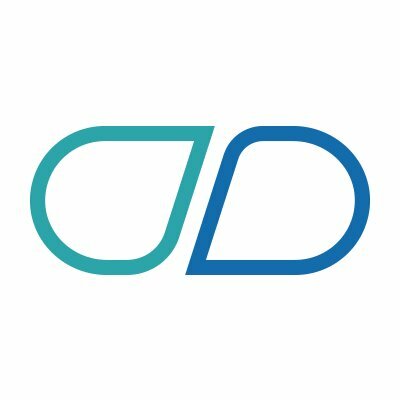 DondeEsta allows parents to see where their children are at any time, and sends push notifications when they arrive at or leave home and school. Why DondeEsta is Top in Family Technology: Parents can also see their child's exact location on a map and receive an alert when they are not at school during school hours. Kids can use the app, too; a panic button will send an instant alert to parents during any situation. uKnow creates technology that powers smart tools that keep kids and families safe and connected in their digital lives. CEO and head of marketing Steve Woda was formerly the Founder, Chairman, and SVP of Product, Strategy & Growth at buySAFE, while co-founder and sales and business developer Tim Woda has more than 20 years of experience in business development, process improvement, and sales operations. 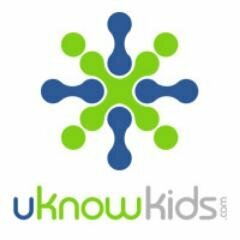 Why uKnow is Top in Family Technology: uKnowKids helps parents keep their kids safe online by allowing parents to view text messages, social media activity, shared photos, installed apps, and more on their kids' devices. 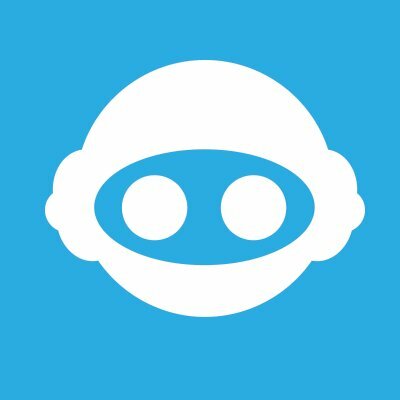 Their uKnowID app helps users protect and manage their social media identity by providing real-time protection and guidance. 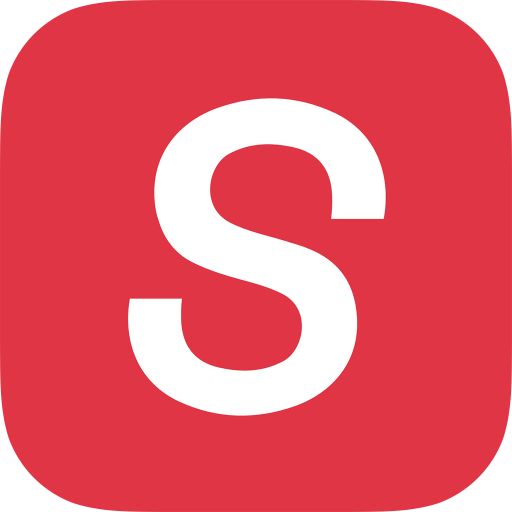 Skedi is a handy family calendar built for busy parents; it uses the cloud to combine all of your family's calendars into one so you can track everyone's schedule with ease. Why Skedi is Top in Family Technology: You can also use it to delegate tasks, like dropping off and picking up the kids, appointments, nights out, and more, so everyone always knows their responsibilities. 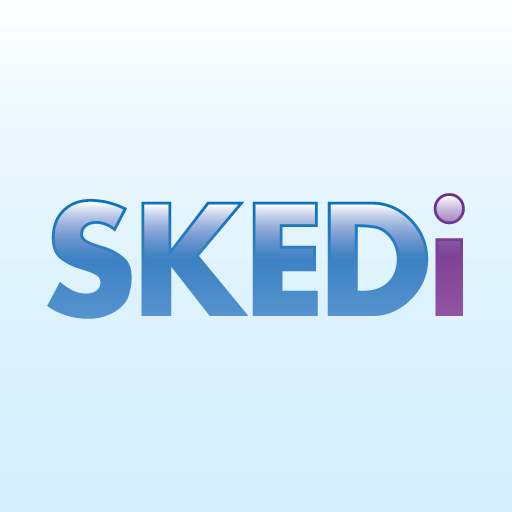 Even better, Skedi allows you to continue using your favorite calendar app, be it iCal, Google Calendar, or anything else. 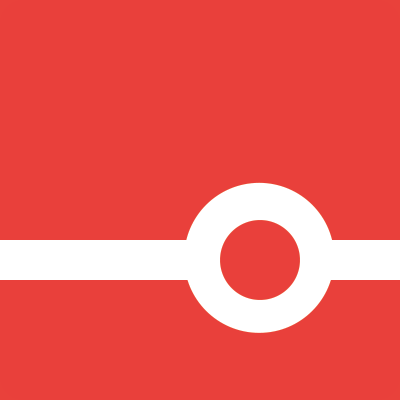 99check's Find My Family Locator is an app for iOS that makes it easy to locate your family in real-time. Why 99check is Top in Family Technology: Not only can it give you location details, it can also show you the battery level on each family member's device, so you know if they're about to run out of juice and drop off the map. If you want to reassure someone, you can even send them a selfie for reassurance right from the app. One Legacy is bringing together caretakers and giving them a place to share and preserve the stories they hear every day, both for the families and for the sake of history. Founder Mike Stith's inspiration came from an accumulation of changes and stories in his own life, and he hopes that OneLegacy will bring powerful stories to people everywhere. Why One Legacy is Top in Family Technology: Caregivers are not only vital for the service they provide, they're also a conduit for collecting stories for their clients' families, and this project ensures that those stories are never lost. Telling stories can not only help families preserve memories, but it's also an excellent therapy tool for seniors. EverCal is a family calendar that helps you keep track of everyone's activities; you can easily share schedules, import to-do lists, and more. Why EverCal is Top in Family Technology: The app does all the hard work autonomously, importing your family members' schedules and even color-coding them so you can tell who's doing what at a glance. Of course, you can set any schedule to public or private so not everyone can see it, and the app can sync with your iOS calendar. WOW Explorations designs and develops fun, innovative recreation experiences for kids and their families. Company founder and CEO Donna Friedman Meir was President of National Geographic Kids Entertainment and a senior executive at the WB Television Network and Nickelodeon before founding WOW Explorations. Why WOW Explorations is Top in Family Innovation: This startup aims to solve a common problem parents worry about: providing entertaining experiences that kids will love and that parents will feel good about. WOW's first attraction, WOWtopia, is a hands-on global festival that's touring across the country, giving kids an up-close and personal experience of different cultures. 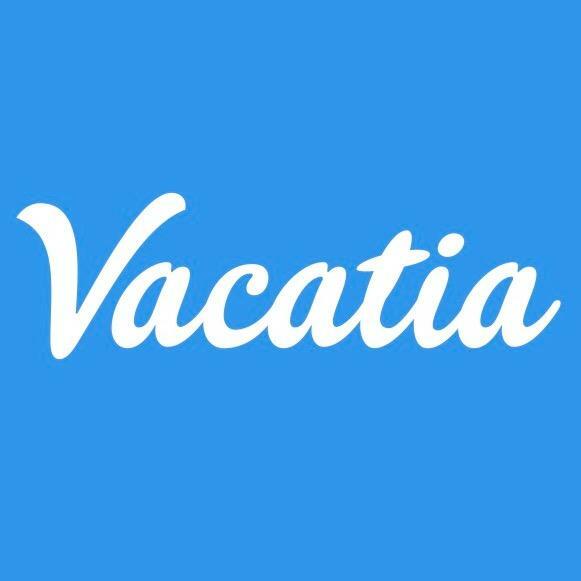 Vacatia aims to make family vacations better by helping you find and instantly book accommodations at 600+ handpicked professionally-managed resorts across North America, using real-time rental listings, high-quality photos, floor/bed plans, and more. CEO and co-founder Caroline Shin is an experienced travel and hospitality executive, who was the lead website architect on the startup team at Hotwire, and is now a member of the Board of Directors of the American Resort Development Association. Why Vacatia is Top in Family Technology: While resort residences offer both the space of a home and the services of a hotel, families often save money booking on Vacatia at a lower rate than pricey adjoining hotel rooms. Vacatia is currently testing 3D resort residence visuals. Vacatia Guest Care is available by phone, chat and text. Vacatia also offers simple and secure desktop and mobile payment options via Flexpay, AmazonPay, and ApplePay. 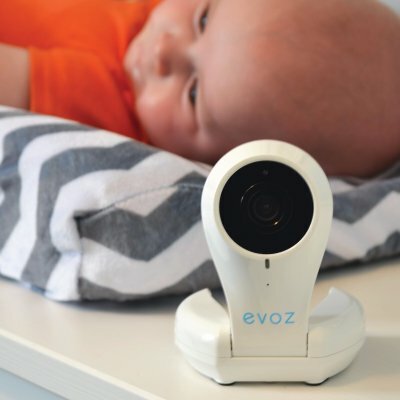 The Evoz Smart Baby Monitor lets you easily check in on your baby from your smart device, receive alerts, and more. Why Evoz Vision WiFi Baby Monitor is Top in Family Technology: It can tell when your child is crying and send you a push notification, for example, so you don't have to constantly monitor your phone. Evoz even automatically tracks your baby's sleep, logging it within the app so you don't have to. 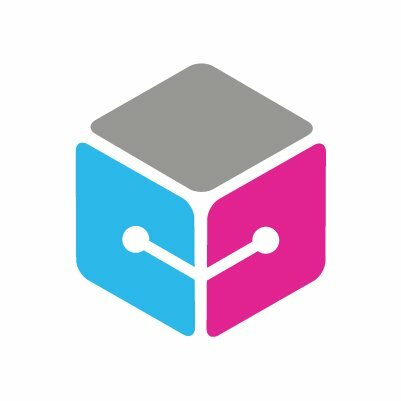 Glued is an app that aims to help families and friends cut down their daily screen time together through a unique rewards system. 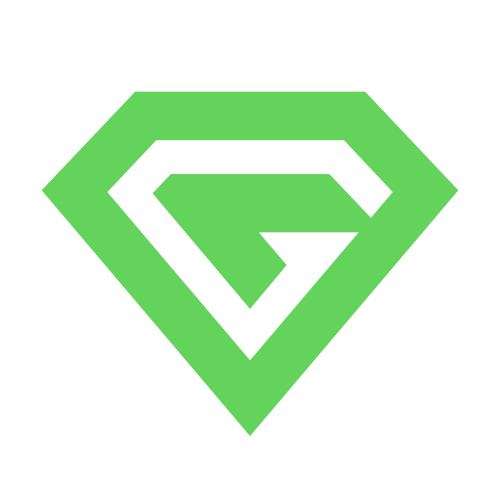 Why Glued is Top in Family Technology: This app gameifies time away from screens by rewarding users for positive device usage and staying under daily screen time limits. Kid Awesome designs and delivers kid-friendly apps that are safe, fun, and educational with the aim of developing children's confidence and reinforcing the building blocks of successful learning. Co-founder Paul Joffe brings over 17 years of experience in games and educational software and an expertise in management to the company, while co-founder Ben Badgett has 20 years of experience as a creative director, game designer and artist with work on brands like Star Wars, Ben 10, and Pokémon. 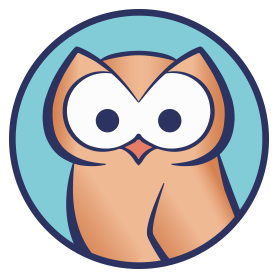 Why Kid Awesome is Top in Family Technology: They work with an educational specialist to deliver comprehensive content covering 17 key foundational skills and over 80 levels per subject. 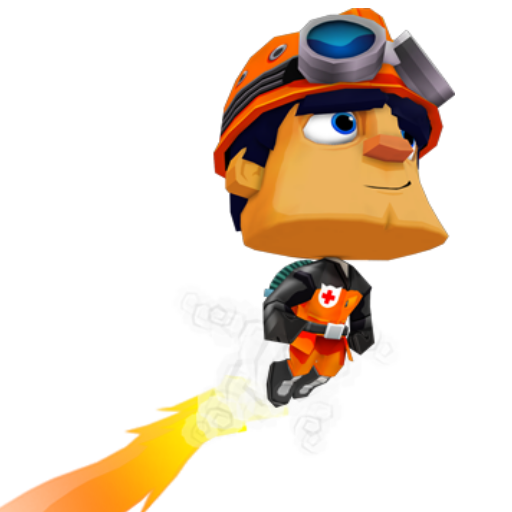 Their apps and games leverage the power of determination, challenge, and fun to inspire kids to learn key skills that will carry them throughout their education. Medisafe is a platform that works with patients, physicians, and partners to ensure that patients are taking their medicine on time, and that they know everything they need to know about it. The idea for Medisafe was born when co-founders Omri and Rotem Shor's father was put at risk after accidentally taking an extra dose of insulin; upon realizing how common medication errors are, they set about creating their platform. Why Medisafe is Top in Family Technology: Patients can get started by learning about both their condition and their treatment, and the app will help them stick with it by tracking what medicine they've taken and what's coming up next. Physicians can easily invite their patients to use Medisafe to increase treatment adherence, which is a good thing for the medical industry as a whole. Moment is an app that helps you spend less time on your devices and more time with your family by tracking how much time you spend on your phone and tablet each day. Why Moment is Top in Family Technology: It does this automatically, and you can set daily time limits for yourself and even force yourself off of your device when you go over. Once you download the app and set it up, it's invisible, running automatically and helping you be more present every day. 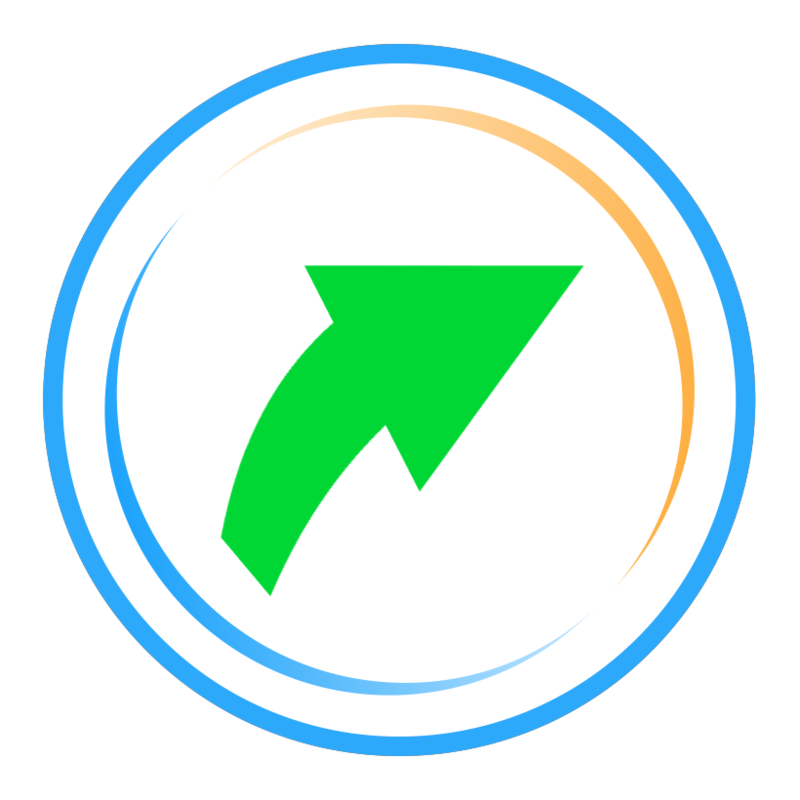 HopSkipDrive makes scheduling rides with trusted, experienced caregivers easy, making life easier for busy parents. Company founder and CEO Joanna McFarland has over fifteen years of experience in product and general management, and holds an MBA from Stanford University. Why HopSkipDrive is Top in Family Technology: Driving the kids around can be tough on your schedule, but you don't want just anyone picking them up; that's why this startup gives users access to trusted caregivers who will do the driving for them. Every driver is fingerprinted, and every ride is monitored in real-time so your kids' safety can be assured. WowWee makes a number of technology-enhanced children's toys, including Coji, a robot that teaches kids to code using emojis. Why WowWee is Top in Family Technology: Coji links up to a smart device, and kids use the app to play games and solve problems that use emojis to direct Coji's actions. A great introduction to coding, it's designed to help children build STEM and problem-solving skills. Share on Facebook "Best Family Technology"